As the recent PBS documentary on the American War in Vietnam acknowledged, few American officials ever believed that the United States could win the war, neither those advising Johnson as he committed hundreds of thousands of U.S. troops, nor those advising Nixon as he escalated a brutal aerial bombardment that had already killed millions of people. As conversations tape-recorded in the White House reveal, and as other writers have documented, the reasons for wading into the Big Muddy, as Pete Seeger satirized it, and then pushing on regardless, all came down to “credibility”: the domestic political credibility of the politicians involved and America’s international credibility as a military power. Once the CIA went to work in Vietnam to undermine the 1954 Geneva Accords and the planned reunification of North and South through a free and fair election in 1956, the die was cast. The CIA’s support for the repressive Diem regime and its successors ensured an ever-escalating war, as the South rose in rebellion, supported by the North. No U.S. president could extricate the U.S. from Vietnam without exposing the limits of what U.S. military force could achieve, betraying widely held national myths and the powerful interests that sustained and profited from them. 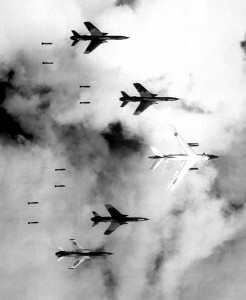 Losing the war in Vietnam was a heavy blow to the CIA and the U.S. Military Industrial Complex, and it added insult to injury for every American who had lost comrades or loved ones in Vietnam, but it ushered in more than a decade of relative peace for America and the world. If the purpose of the U.S. military is to protect the U.S. from the danger of war, as our leaders so often claim, the “Vietnam syndrome,” or the reluctance to be drawn into new wars, kept the peace and undoubtedly saved countless lives. Even the senior officer corps of the U.S. military saw it that way, since many of them had survived the horrors of Vietnam as junior officers. The CIA could still wreak havoc in Latin America and elsewhere, but the full destructive force of the U.S. military was not unleashed again until the invasion of Panama in 1989 and the First Gulf War in 1991. Half a century after Vietnam, we have tragically come full circle. With the CIA’s politicized intelligence running wild in Washington and its covert operations spreading violence and chaos across every continent, President Trump faces the same pressures to maintain his own and his country’s credibility as Johnson and Nixon did. His predictable response has been to escalate ongoing wars in Syria, Iraq, Afghanistan, Yemen, Somalia and West Africa, and to threaten new ones against North Korea, Iran and Venezuela. Trump is facing these questions, not just in one country, Vietnam, but in dozens of countries across the world, and the interests perpetuating and fueling this cycle of crisis and war have only become more entrenched over time, as President Eisenhower warned that they would, despite the end of the Cold War and, until now, the lack of any actual military threat to the United States. Ironically but predictably, the U.S.’s aggressive and illegal war policy has finally provoked a real military threat to the U.S., albeit one that has emerged only in response to U.S. war plans. 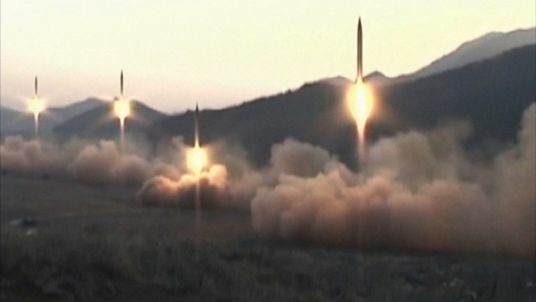 As I explained in a recent article, North Korea’s discovery in 2016 of a U.S. plan to assassinate its president, Kim Jong Un, and launch a Second Korean War has triggered a crash program to develop long-range ballistic missiles that could give North Korea a viable nuclear deterrent and prevent a U.S. attack. But the North Koreans will not feel safe from attack until their leaders and ours are sure that their missiles can deliver a nuclear strike against the U.S. mainland. U.S. Air Force Colonel Fletcher Prouty was the chief of special operations for the Joint Chiefs of Staff from 1955 to 1964, managing the global military support system for the CIA in Vietnam and around the world. Fletcher Prouty’s book, The Secret Team: The CIA and its Allies in Control of the United States and the World, was suppressed when it was first published in 1973. Thousands of copies disappeared from bookstores and libraries, and a mysterious Army Colonel bought the entire shipment of 3,500 copies the publisher sent to Australia. But Prouty’s book was republished in 2011, and it is a timely account of the role of the CIA in U.S. policy. Prouty surprisingly described the role of the CIA as a response by powerful people and interests to the abolition of the U.S. Department of War and the creation of the Department of Defense in 1947. Once the role of the U.S. military was redefined as one of defense, in line with the United Nations Charter’s prohibition against the threat or use of military force in 1945 and similar moves by other military powers, it would require some kind of crisis or threat to justify using military force in the future, both legally and politically. The main purpose of the CIA, as Prouty saw it, is to create such pretexts for war. 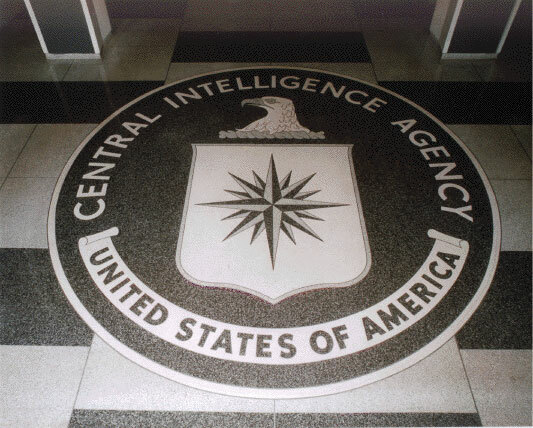 The CIA is a hybrid of an intelligence service that gathers and analyzes foreign intelligence and a clandestine service that conducts covert operations. Both functions are essential to creating pretexts for war, and that is what they have done for 70 years. Prouty described how the CIA infiltrated the U.S. military, the State Department, the National Security Council and other government institutions, covertly placing its officers in critical positions to ensure that its plans are approved and that it has access to whatever forces, weapons, equipment, ammunition and other resources it needs to carry them out. Many retired intelligence officers, such as Ray McGovern and the members of Veteran Intelligence Professionals for Sanity (VIPS), saw the merging of clandestine operations with intelligence analysis in one agency as corrupting the objective analysis they tried to provide to policymakers. They formed VIPS in 2003 in response to the fabrication of politicized intelligence that provided false pretexts for the U.S. to invade and destroy Iraq. But Fletcher Prouty was even more disturbed by the way that the CIA uses clandestine operations to trigger coups, wars and chaos. The civil and proxy war in Syria is a perfect example of what Prouty meant. In late 2011, after destroying Libya and aiding in the torture-murder of Muammar Gaddafi, the CIA and its allies began flying fighters and weapons from Libya to Turkey and infiltrating them into Syria. Then, working with Saudi Arabia, Qatar, Turkey, Croatia and other allies, this operation poured thousands of tons of weapons across Syria’s borders to ignite and fuel a full-scale civil war. Once these covert operations were under way, they ran wild until they had unleashed a savage Al Qaeda affiliate in Syria (Jabhat al-Nusra, now rebranded as Jabhat Fateh al-Sham), spawned the even more savage “Islamic State,” triggered the heaviest and probably the deadliest U.S. bombing campaign since Vietnam and drawn Russia, Iran, Turkey, Israel, Jordan, Hezbollah, Kurdish militias and almost every state or armed group in the Middle East into the chaos of Syria’s civil war. Meanwhile, as Al Qaeda and Islamic State have expanded their operations across Africa, the U.N. has published a report titled Journey to Extremism in Africa: Drivers, Incentives and the Tipping Point for Recruitment, based on 500 interviews with African militants. This study has found that the kind of special operations and training missions the CIA and AFRICOM are conducting and supporting in Africa are in fact the critical “tipping point” that drives Africans to join militant groups like Al Qaeda, Al-Shabab and Boko Haram. The report found that government action, such as the killing or detention of friends or family, was the “tipping point” that drove 71 percent of African militants interviewed to join armed groups, and that this was a more important factor than religious ideology. The conclusions of Journey to Extremism in Africa confirm the findings of other similar studies. The Center for Civilians in Conflict interviewed 250 civilians who joined armed groups in Bosnia, Somalia, Gaza and Libya for its 2015 study, The People’s Perspectives: Civilian Involvement in Armed Conflict. The study found that the most common motivation for civilians to join armed groups was simply to protect themselves or their families. The role of U.S. “counterterrorism” operations in fueling armed resistance and terrorism, and the absence of any plan to reduce the asymmetric violence unleashed by the “global war on terror,” would be no surprise to Fletcher Prouty. As he explained, such clandestine operations always take on a life of their own that is unrelated, and often counter-productive, to any rational U.S. policy objective. The U.S. justifies the deployment of 6,000 U.S. special forces and military trainers to 53 of the 54 countries in Africa as a response to terrorism. But the U.N.’s Journey to Extremism in Africa study makes it clear that the U.S. militarization of Africa is in fact the “tipping point” that is driving Africans across the continent to join armed resistance groups in the first place. This is a textbook CIA operation on the same model as Vietnam in the late 1950s and early 60s. The CIA uses U.S. special forces and training missions to launch covert and proxy military operations that drive local populations into armed resistance groups, and then uses the presence of those armed resistance groups to justify ever-escalating U.S. military involvement. This is Vietnam redux on a continental scale. 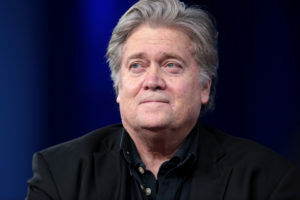 Then-Chief White House Strategist Steve Bannon speaking at the 2017 Conservative Political Action Conference (CPAC) in National Harbor, Maryland. China is too powerful and armed with nuclear weapons. So, in this case, the CIA’s job would be to spread violence and chaos to disrupt Chinese trade and investment, and to make African governments increasingly dependent on U.S. military aid to fight the militant groups spawned and endlessly regenerated by U.S.-led “counterterrorism” operations. Neither Ledeen nor Bannon pretend that such policies are designed to build more prosperous or viable societies in the Middle East or Africa, let alone to benefit their people. They both know very well what Richard Barnet already understood 45 years ago, that America’s unprecedented investment in weapons, war and CIA covert operations are only good for one thing: to kill people and destroy infrastructure, reducing cities to rubble, societies to chaos and the desperate survivors to poverty and displacement. As long as the CIA and the U.S. military keep plunging the scapegoats for our failed policies into economic crisis, violence and chaos, the United States and the United Kingdom can remain the safe havens of the world’s wealth, islands of privilege and excess amidst the storms they unleash on others. But if that is the only “significant national objective” driving these policies, it is surely about time for the 99 percent of Americans who reap no benefit from these murderous schemes to stop the CIA and its allies before they completely wreck the already damaged and fragile world in which we all must live, Americans and foreigners alike. Douglas Valentine has probably studied the CIA in more depth than any other American journalist, beginning with his book on The Phoenix Program in Vietnam. He has written a new book titled The CIA as Organized Crime: How Illegal Operations Corrupt America and the World, in which he brings Fletcher Prouty’s analysis right up to the present day, describing the CIA’s role in our current wars and the many ways it infiltrates, manipulates and controls U.S. policy. 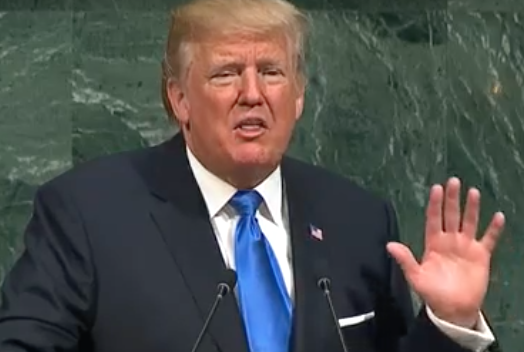 In Trump’s speech to the U.N. General Assembly, he named North Korea, Iran and Venezuela as his prime targets for destabilization, economic warfare and, ultimately, the overthrow of their governments, whether by coup d’etat or the mass destruction of their civilian population and infrastructure. But Trump’s choice of scapegoats for America’s failures was obviously not based on a rational reassessment of foreign policy priorities by the new administration. It was only a tired rehashing of the CIA’s unfinished business with two-thirds of Bush’s “axis of evil” and Bush White House official Elliott Abrams’ failed 2002 coup in Caracas, now laced with explicit and illegal threats of aggression. How Trump and the CIA plan to sacrifice their three scapegoats for America’s failures remains to be seen. This is not 2001, when the world stood silent at the U.S. bombardment and invasion of Afghanistan after September 11th. It is more like 2003, when the U.S. destruction of Iraq split the Atlantic alliance and alienated most of the world. It is certainly not 2011, after Obama’s global charm offensive had rebuilt U.S. alliances and provided cover for French President Sarkozy, British Prime Minister Cameron, Secretary of State Hillary Clinton and the Arab royals to destroy Libya, once ranked by the U.N. as the most developed country in Africa, now mired in intractable chaos. In 2017, a U.S. attack on any one of Trump’s scapegoats would isolate the United States from many of its allies and undermine its standing in the world in far-reaching ways that might be more permanent and harder to repair than the invasion and destruction of Iraq. In Venezuela, the CIA and the right-wing opposition are following the same strategy that President Nixon ordered the CIA to inflict on Chile, to “make the economy scream” in preparation for the 1973 coup. But the solid victory of Venezuela’s ruling Socialist Party in recent nationwide gubernatorial elections, despite a long and deep economic crisis, reveals little public support for the CIA’s puppets in Venezuela. The CIA has successfully discredited the Venezuelan government through economic warfare, increasingly violent right-wing street protests and a global propaganda campaign. But the CIA has stupidly hitched its wagon to an extreme right-wing, upper-class opposition that has no credibility with most of the Venezuelan public, who still turn out for the Socialists at the polls. A CIA coup or U.S. military intervention would meet fierce public resistance and damage U.S. relations all over Latin America. A U.S. aerial bombardment or “preemptive strike” on North Korea could quickly escalate into a war between the U.S. and China, which has reiterated its commitment to North Korea’s defense if North Korea is attacked. We do not know exactly what was in the U.S. war plan discovered by North Korea, so neither can we know how North Korea and China could respond if the U.S. pressed ahead with it. North Korean missile launch on March 6, 2017. Most analysts have long concluded that any U.S. attack on North Korea would be met with a North Korean artillery and missile barrage that would inflict unacceptable civilian casualties on Seoul, a metropolitan area of 26 million people, three times the population of New York City. Seoul is only 35 miles from the frontier with North Korea, placing it within range of a huge array of North Korean weapons. What was already a no-win calculus is now compounded by the possibility that North Korea could respond with nuclear weapons, turning any prospect of a U.S. attack into an even worse nightmare. 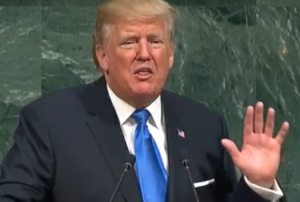 U.S. mismanagement of its relations with North Korea should be an object lesson for its relations with Iran, graphically demonstrating the advantages of diplomacy, talks and agreements over threats of war. Under the Agreed Framework signed in 1994, North Korea stopped work on two much larger nuclear reactors than the small experimental one operating at Yongbyong since 1986, which only produces 6 kg of plutonium per year, enough for one nuclear bomb. The lesson of Bush’s Iraq invasion in 2003 after Saddam Hussein had complied with demands that he destroy Iraq’s stockpiles of chemical weapons and shut down a nascent nuclear program was not lost on North Korea. Not only did the invasion lay waste to large sections of Iraq with hundreds of thousands of dead but Hussein himself was hunted down and condemned to death by hanging. Still, after North Korea tested its first nuclear weapon in 2006, even its small experimental reactor was shut down as a result of the “Six Party Talks” in 2007, all the fuel rods were removed and placed under supervision of the International Atomic Energy Agency, and the cooling tower of the reactor was demolished in 2008. But then, as relations deteriorated, North Korea conducted a second nuclear weapon test and again began reprocessing spent fuel rods to recover plutonium for use in nuclear weapons. North Korea has now conducted six nuclear weapons tests. The explosions in the first five tests increased gradually up to 15-25 kilotons, about the yield of the bombs the U.S. dropped on Hiroshima and Nagasaki, but estimates for the yield of the 2017 test range from 110 to 250 kilotons, comparable to a small hydrogen bomb. The even greater danger in a new war in Korea is that the U.S. could unleash part of its arsenal of 4,000 more powerful weapons (100 to 1,200 kilotons), which could kill millions of people and devastate and poison the region, or even the world, for years to come. The U.S. willingness to scrap the Agreed Framework in 2003, the breakdown of the Six Party Talks in 2009 and the U.S. refusal to acknowledge that its own military actions and threats create legitimate defense concerns for North Korea have driven the North Koreans into a corner from which they see a credible nuclear deterrent as their only chance to avoid mass destruction. China has proposed a reasonable framework for diplomacy to address the concerns of both sides, but the U.S. insists on maintaining its propaganda narratives that all the fault lies with North Korea and that it has some kind of “military solution” to the crisis. The idea that Iran has ever had a nuclear weapons program is seriously contested by the IAEA, which has examined every allegation presented by the CIA and other Western “intelligence” agencies as well as Israel. Former IAEA Director General Mohamed ElBaradei revealed many details of this wild goose chase in his 2011 memoir, Age of Deception: Nuclear Diplomacy in Treacherous Times. Since 2007, the IAEA has resolved all its outstanding concerns with Iran. It has verified that dual-use technologies that Iran imported before 2003 were in fact used for other purposes, and it has exposed the mysterious “laptop documents” that appeared to show Iranian plans for a nuclear weapon as forgeries. Gareth Porter thoroughly explored all these questions and allegations and the history of mistrust that fueled them in his 2014 book, Manufactured Crisis: the Untold Story of the Iran Nuclear Scare, which I highly recommend. But, in the parallel Bizarro world of U.S. politics, hopelessly poisoned by the CIA’s endless disinformation campaigns, Hillary Clinton could repeatedly take false credit for disarming Iran during her presidential campaign, and neither Bernie Sanders, Donald Trump nor any corporate media interviewer dared to challenge her claims. 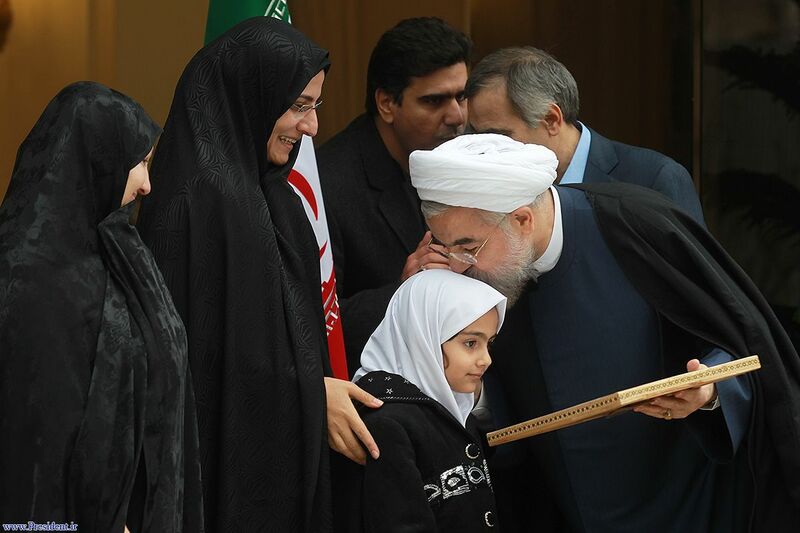 In fact, as Trita Parsi documented in his 2012 book, A Single Roll of the Dice: Obama’s Diplomacy With Iran, the Iranians were ready, not just to “come to the table,” but to sign a comprehensive agreement based on a U.S. proposal brokered by Turkey and Brazil in 2010. But, in a classic case of “tail wags dog,” the U.S. then rejected its own proposal because it would have undercut support for tighter sanctions in the U.N. Security Council. In other words, Clinton’s sanctions policy did not “bring Iran to the table”, but prevented the U.S. from coming to the table itself. As a senior State Department official told Trita Parsi, the real problem with U.S. diplomacy with Iran when Clinton was at the State Department was that the U.S. would not take “Yes” for an answer. Trump’s ham-fisted decertification of Iran’s compliance with the JCPOA is right out of Clinton’s playbook, and it demonstrates that the CIA is still determined to use Iran as a scapegoat for America’s failures in the Middle East. The spurious claim that Iran is the world’s greatest sponsor of terrorism is another CIA canard reinforced by endless repetition. It is true that Iran supports and supplies weapons to Hezbollah and Hamas, which are both listed as terrorist organizations by the U.S. government. But they are mainly defensive resistance groups that defend Lebanon and Gaza respectively against invasions and attacks by Israel. Shifting attention away from Al Qaeda, Islamic State, the Libyan Islamic Fighting Group and other groups that actually commit terrorist crimes around the world might just seem like a case of the CIA “taking its eyes off the ball,” if it wasn’t so transparently timed to frame Iran with new accusations now that the manufactured crisis of the nuclear scare has run its course. 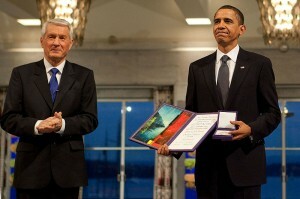 Barack Obama’s most consequential international achievement may have been the triumph of symbolism over substance behind which he expanded and escalated the so-called “war on terror,” with a vast expansion of covert operations and proxy wars that eventually triggered the heaviest U.S. aerial bombardments since Vietnam in Iraq and Syria. Obama’s charm offensive invigorated old and new military alliances with the U.K., France and the Arab monarchies, and he quietly ran up the most expensive military budget of any president since World War Two. But Obama’s expansion of the “war on terror” under cover of his deceptive global public relations campaign created many more problems than it solved, and Trump and his advisers are woefully ill-equipped to solve any of them. Trump’s expressed desire to place America first and to resist foreign entanglements is hopelessly at odds with his aggressive, bullying approach to every foreign policy problem. If the U.S. could threaten and fight its way to a resolution of any of its international problems, it would have done so already. That is exactly what it has been trying to do since the 1990s, behind both the swagger and bluster of Bush and Trump and the deceptive charm of Clinton and Obama: a “good cop – bad cop” routine that should no longer fool anyone anywhere. But as Lyndon Johnson found as he waded deeper and deeper into the Big Muddy in Vietnam, lying to the public about unwinnable wars does not make them any more winnable. It just gets more people killed and makes it harder and harder to ever tell the public the truth. 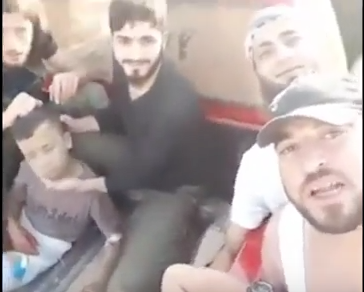 In unwinnable wars based on lies, the “credibility” problem only gets more complicated, as new lies require new scapegoats and convoluted narratives to explain away graveyards filled by old lies. Obama’s cynical global charm offensive bought the “war on terror” another eight years, but that only allowed the CIA to drag the U.S. into more trouble and spread its chaos to more places around the world. Meanwhile, Russian President Putin is winning hearts and minds in capitals around the world by calling for a recommitment to the rule of international law, which prohibits the threat or use of military force except in self-defense. Every new U.S. threat or act of aggression will only make Putin’s case more persuasive, not least to important U.S. allies like South Korea, Germany and other members of the European Union, whose complicity in U.S. aggression has until now helped to give it a false veneer of political legitimacy. Throughout history, serial aggression has nearly always provoked increasingly united opposition, as peace-loving countries and people have reluctantly summoned the courage to stand up to an aggressor. France under Napoleon and Hitler’s Germany also regarded themselves as exceptional, and in their own ways they were. But in the end, their belief in their exceptionalism led them on to defeat and destruction. Americans had better hope that we are not so exceptional, and that the world will find a diplomatic rather than a military “solution” to its American problem. Our chances of survival would improve a great deal if American officials and politicians would finally start to act like something other than putty in the hands of the CIA. Nicolas J. S. Davies is the author of Blood On Our Hands: the American Invasion and Destruction of Iraq. He also wrote the chapters on “Obama at War” in Grading the 44th President: a Report Card on Barack Obama’s First Term as a Progressive Leader.